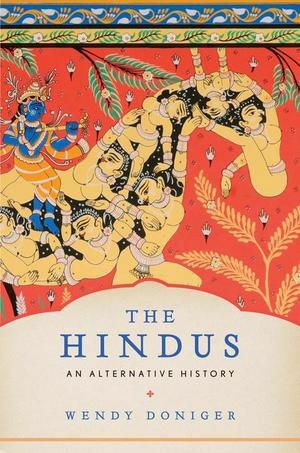 Wendy Doniger's controversial book The Hindus: An Alternative History has outraged Hindus around the world like never before for insulting Indians and offending Hindus. Seventy-three-year old Doniger is an American Jewish Indologist and has been a professor at the University of Chicago since 1978. Although she is a well-known authority on Hinduism, her book has pointed out to have many factual errors and her perspective of things Indian, Vedic, and Hindu has been questioned time and again. Published in 2009, 'The Hindus' became the #1 best-seller in the non-fiction category in India despite a furor of criticism and protest from the American Hindu community. In 2010, Aseem Shukla of the Hindu American Foundation debated various elements of the book with Doniger herself in his blog. Historian Vishal Agarwal attacked Doniger's research chapter by chapter and pointed out numerous errors. In 2011, a New Delhi based group Shiksha Bachao Andolan filed a civil lawsuit against Penguin, Donger's Indian publisher, and two other criminal complaints were lodged against the book. Finally, on February 4, Penguin decided to stop publishing it and agreed to pulp all remaining copies of the book officially stating that "a publishing company has the same obligation as any other organisation to respect the laws of the land in which it operates, however intolerant and restrictive those laws may be. We also have a moral responsibility to protect our employees against threats and harassment where we can. The settlement reached this week brings to a close a four year legal process in which Penguin has defended the publication of the Indian edition of The Hindus by Wendy Doniger." 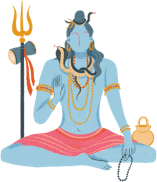 Best-selling author of several books on Hindu mythology Dr. Devdutt Pattanaik points out that the "problem with Wendy's writings is her unapologetic and rather naïve obsession with psychosexual analysis of Hindu gods." But the bigger problem is, he warns, "Discomfort can turn to rage when American universities start promoting Wendy's speculations as 'the' truth, rather than 'a' truth, one that may not necessarily align with popular beliefs on the ground." However, Dr. Pattanaik is completely against the banning of the book and asks us to seek refuge in Hinduism itself in coping with the discomfort of Wendy's book: "But then we take solace in the Hindu philosophy of timelessness: this has happened before and will happen again. Watch other people's hatred and insecurity, and outgrow your own," he told Rediff.com. Even Wendy found solace in Hinduism after her father died in 1971, as she confesses in this YouTube interview. She simply loves the concept of Karma and the Ashramas or four stages of life. And she admits that she is more fond of the aesthetics of Hindu temples than the most beautiful of European cathedrals. No wonder, Hinduism is known as the universal religion. The University of Chicago said that it "vigorously defends" Doniger's right to publish such writings while Doniger said, "I am glad that, in the age of the Internet, it is no longer possible to suppress a book." This has resulted in the book becoming more popular than ever, taking it up to #11 in the current best-seller chart on Amazon.com. Do read my excerpts from Doniger's The Hindus and tell me: "Do you support the decision to recall and destroy all remaining copies of a book?" Authors across India are upset about this act saying it is a violation of freedom of speech.